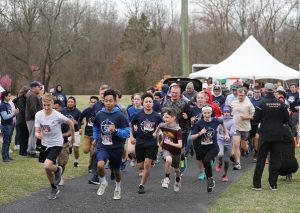 The cold rain might have dampened the grass, but it didn’t dampen the spirits of those who attended last Sunday’s eighth annual iRace4Vocations Mass and 5K Run/1 mile walk at Washington Lake Park in Sewell. The family-filled “faithraiser” called on South Jersey’s faithful to pray for and promote vocations to the priesthood and religious life. 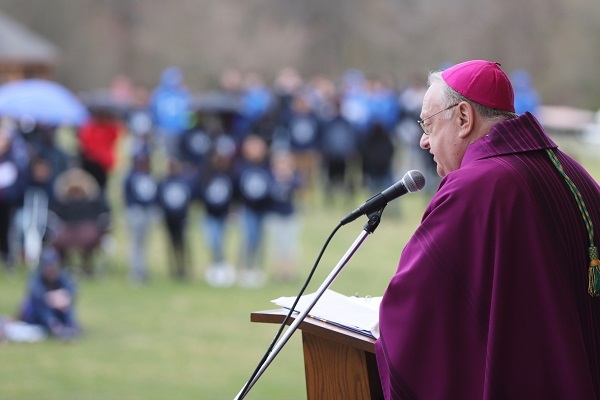 “It is a wonderful, and amazing life,” Bishop Dennis Sullivan said in his homily during Mass on the park lawn, joined by his brother priests, deacons, women religious, families and school students. 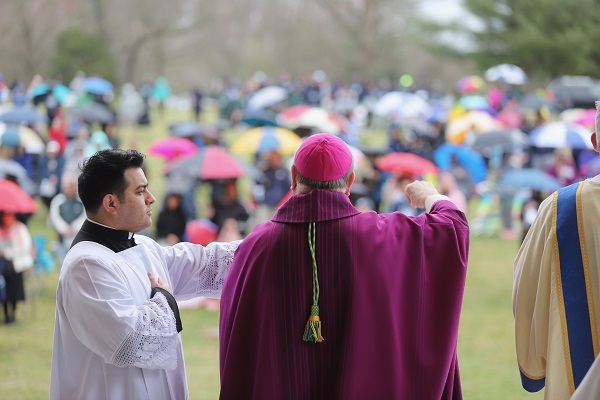 During the noon Mass, the cold rain and fierce wind necessitated the appearance of jackets and umbrellas. By the end of the day, however, which included a picnic and music after the walkers and runners completed their laps, clouds gave way to the sun. “All things considered, despite the initial weather, today was a miraculous day,” exclaimed Father Ed Kennedy, committee member for the iRace, and parochial vicar at Our Lady of Hope Parish in Blackwood. The 900 in attendance “speak to the fact that people love this day. It’s a highlight on the diocesan calendar,” he said. The event is presented by the Diocese of Camden Office of Vocations and the Knights of Columbus and sponsored by nearly 20 local parishes, businesses and organizations.